Are you prepared for an emergency, Santa Clara County? Disaster strikes in the middle of the night. Are you prepared? Whether it’s fire, flood, or earthquake, it’s always important to be prepared for an emergency. Use these tips, along with Santa Clara County’s Office of Emergency Services’ smartphone application, ReadySCC, which helps you create an emergency plan ahead of time. Download the app on either the iTunes App Store or on the Google Play store. Develop an emergency plan ahead of time with the ReadySCC app. 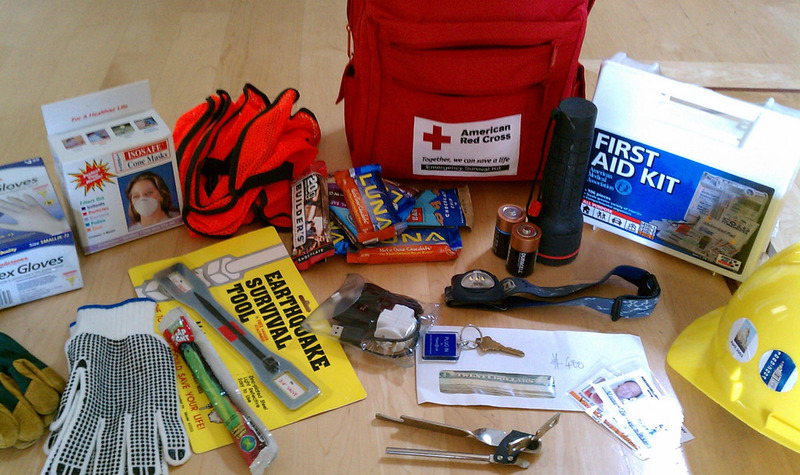 Build or pack Disaster Kits for you and your family members. Know where to go in an emergency. Whether it’s a park or school or another close-by location, let everyone in your household know where they should meet. Designate an out-of-town family member or friend whom you can call in an emergency; let them know that you will be calling them. Make a plan with your neighbors. Take classes like CPR and Emergency Preparedness with the Santa Clara County Fire Department. This is a list of some of the items that can be packed in your emergency kit. Your selection may vary — sit down with your family members to decide what should be packed in your kit. In case of a fire or another emergency where you might not be able to return to your home, pack a special box that has items which have sentimental or important value to you, like photos or important documents. Make sure that you can carry this box along with your emergency kit. Happy New Year, Santa Clara County!